Is it spring yet? 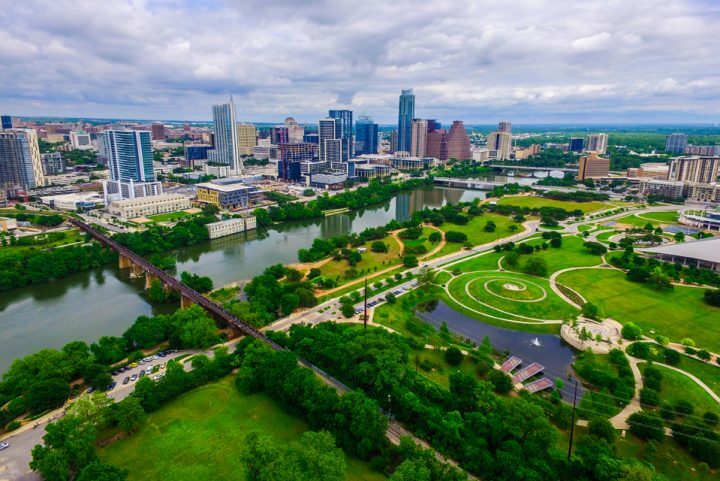 While Austin’s wintertime daily high temperatures rarely drop to uncomfortable levels, it seems like everyone is itching to get out and about in the spring. Luckily this eccentric, friendly town has plenty of spring outdoor activities to satisfy a myriad of preferences and capabilities. Read on to find your niche. In downtown Austin, the Helping Other People Everywhere (HOPE) Outdoor Gallery took a failed building development and transformed it into one of the city’s top 10 art destinations. 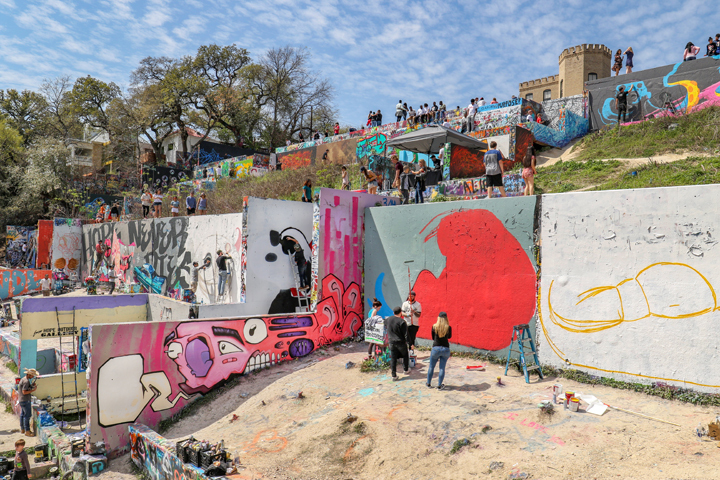 Known locally as Castle Hill, the three-story art park provides contemporary and graffiti artists with large-scale canvases (i.e., concrete walls) on which to work their magic. Climb to the top (in comfy shoes, mind you) and you’ll be rewarded with a great view of downtown Austin. If you’d like to add your artistic touch to the outdoor gallery, know that you must register to participate: Email [email protected] for details. NOTE: The graffiti park will to move 9507 Sherman Rd — about 12 miles southeast of its current location. The Castle Hill location will stay open until June 2018, with the new, larger art park scheduled to open at the end of 2018. 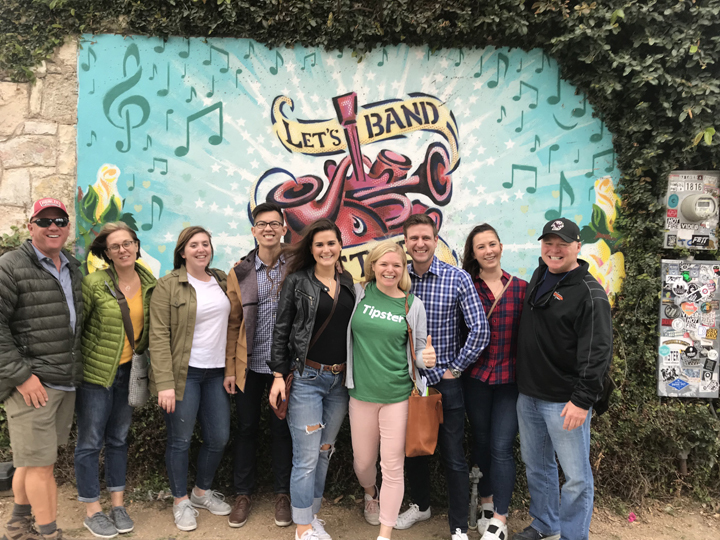 Leave it to Tipster Tours to share information, experiences and fun while incorporating a “pay what you like” structure to these entertaining walks about town. No reservations needed (though groups of 6+ can let Tipster know ahead of time); just show up ready to walk, rain or shine, “hell or high water.” If you enjoy the tour, tip what you think is fair and what you can afford — no pressure at all. What’s your interest — Austin, music scene? The state capital’s downtown area? East Side Art? Beer? You’ll scratch that curiosity itch while being mobile and getting fresh air, Austin style. 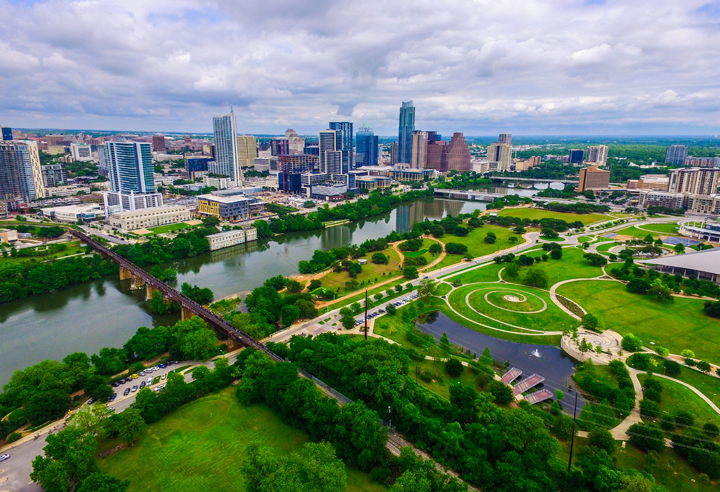 Who loves to ride electric minibikes around Austin, checking out such points of interests as 6th Street, Congress Avenue, Pfluger Bridge, University of Texas and statues of Stevie Ray Vaughan and Willie Nelson? Parents, kids, couples, friends, co-workers, you name it. Your Biker Gang Passengers ride free on these two-hour daily tours, and kiddos can ride in back or in front with an adult (16+ to drive). It’s one of the most fun spring outdoor activities and a five-star tour experience guided by road captains who know and love the city. 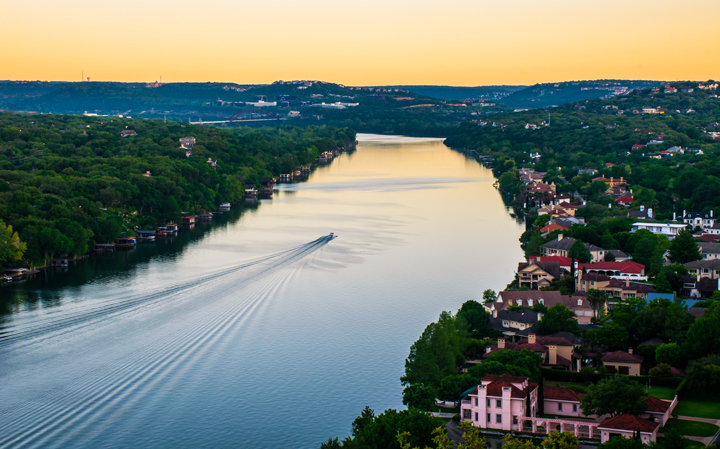 A calm reservoir on the Colorado River in Austin, Lady Bird Lake (aka Town Lake) is ideal for a watery getaway. Rowing Dock is just west of the MoPac Expressway and offers such evening paddle excursions as Glow Paddle and Full Moon Paddle. 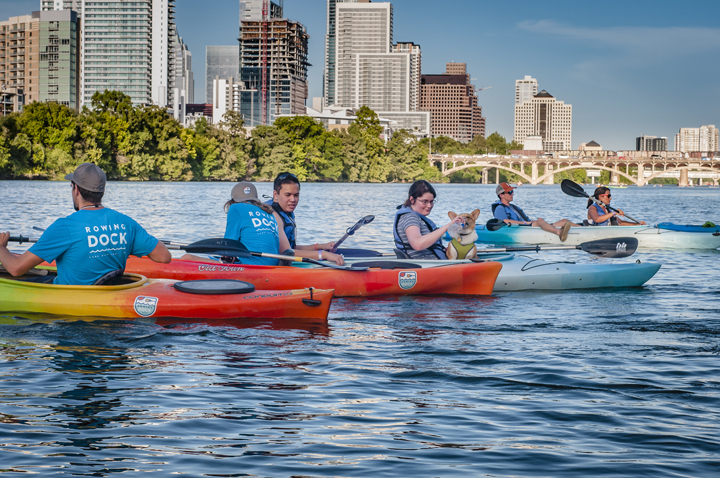 You can watch the Congress Avenue Bridge bats take flight, check out Austin’s skyline, take a guided tour or explore the lake on your own — all uniquely Austin spring outdoor activities. BYOB in non-glass, reusable containers, plus a waterproof bag for your camera. All rentals are first come, first served and the last boats must be must be on the water an hour before closing time. Bon voyage! NOTE: The Ann and Roy Butler Hike-and-Bike Trail is a 10-mile loop around Lady Bird Lake. Ideal for watching people and sunsets, you’ll also take in amazing views of Austin’s skyline. 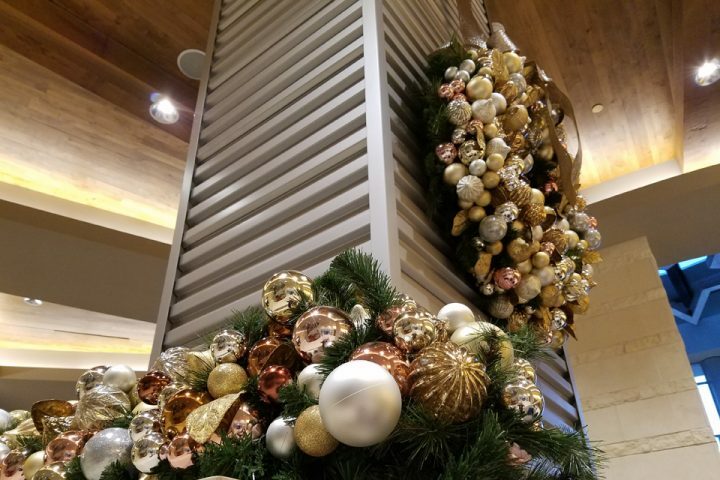 A long list of fun happenings keep Austin hopping year-round, and there’s truly something for everyone. A sampling of events and festivals includes the Austin City Limits Music Festival, O. Henry Pun-Off, Austin Chronicle Hot Sauce Festival, Trail of Lights, South by Southwest, Austin Film Festival, Moonlight Margarita Run, Austin Celtic Festival, Free Day of Yoga, Texas Book Festival, Bat Fest, Louisiana Swamp Thing & Crawfish Festival, Zilker Garden Festival and Austin Reggae Festival. And that’s just the beginning of how Austin keeps it real and weird. Austin Events and Festivals has the complete list — check it out. Also known as SoCo, South Congress Avenue is chock-full of eclectic, funky shops, Austin-authentic restaurants and live music venues. With a fantastic view of the Texas Capitol, , the long-famous area is a must-stop destination for visitors and locals alike. Go for First Thursday — an ideal time to people-watch, shop extended hours and eat, drink and boogie to your heart’s content. 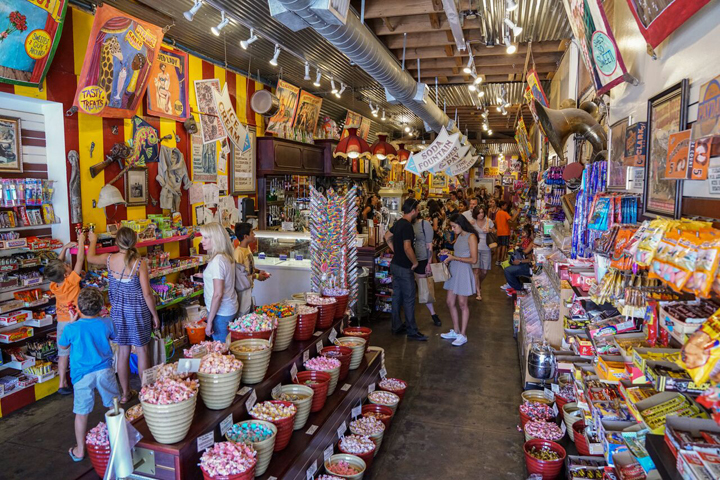 And if you need a shot of sugar to extend your time in this famous district, stop by Big Top Candy Shop — you’ll be the proverbial kid in a candy shop, no matter how old you are. You can even whet your whistle with an old-fashioned soda fountain and ice cream. The Ann W. Richards Congress Avenue Bridge is home to the approximately 1.5 million Mexican free-tailed bats — the largest urban bat colony in North America. From spring to early fall, visitors to the bridge can watch as the bats take off from the bridge on their nightly flight searching for food (around 15,000 pounds of insects, including agricultural pests). 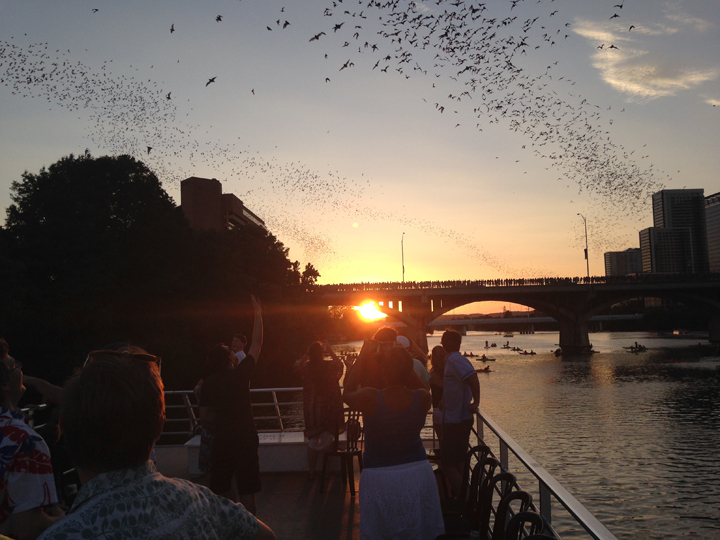 Check it out from the Congress Avenue Bridge or catch a water view on a bat-watching tour offered by Capital Cruises. This 351-land-acre, 416-water-acre park just southwest of downtown is ideal for running, biking, swimming, kayaking, paddleboarding, hiking, playing volleyball and dog-walking. While here, check out the spring-fed Barton Springs Pool, the Austin Nature Science Center and the UMLAUF Sculpture Garden & Museum, plus the botanical garden’s ponds, streams and waterfalls. The park also plays host to a variety of festivals and events throughout the year — think kites, lights, science, music and theatre. As far as exciting spring outdoor activities go, three of the longest and fastest ziplines in Texas (plus two additional lines) have thrill-seekers’ names written all over them. After hiking one mile at elevation, adventurers zip across stunning canyons and over Lake Travis. 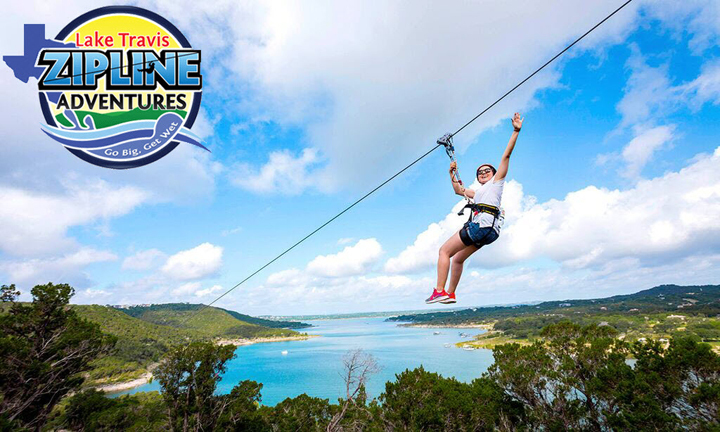 The Lake Travis Zipline Adventures three-hour tour includes access to a private beach for picnicking, swimming in the lake, playing games and relaxing in hammocks. Reservations are required and participants must weigh 70 – 250 pounds. South-central Austin claims the Barton Creek Greenbelt as one of the city’s favorite greenbelts and a top hiking trail in Texas — and for good reason. 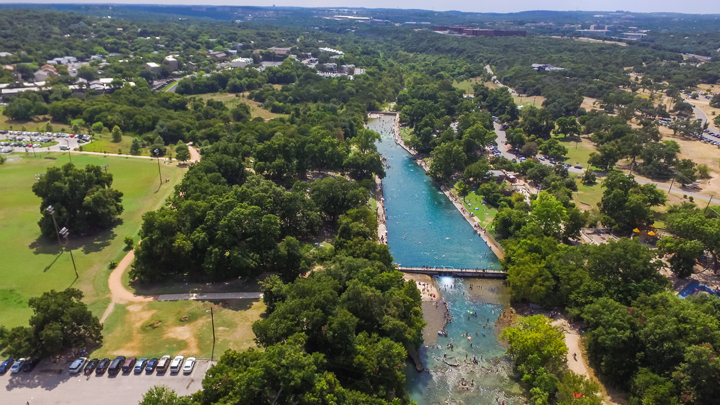 With nearly 13 miles of beautiful trails, trails for mountain biking, gorgeous limestone bluffs for rock climbing, the Barton Springs Pool and other swimming holes (when there’s water), this area attracts locals and visitors alike. Leashed dogs are welcome but bring waste bags to clean up after your pooch. Several access points provide different levels of difficulty; remember to take water along with you (but plan ahead, because no restrooms are available on the trail). 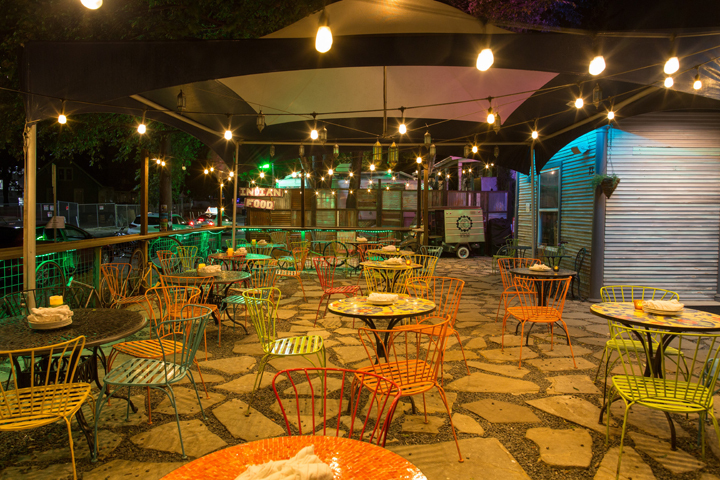 While Austin’s 6th Street is known as the city’s premier party zone, Rainey Street Historic District is making a name for itself, as well. Many craftsman-style houses in the area have been converted into cocktail lounges and bars with fun porches, patios and backyards decorated with string lights, picnic tables and hammocks. 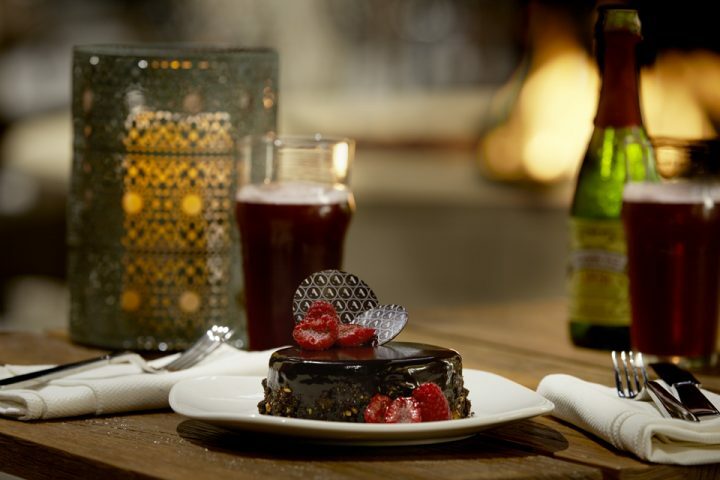 Charming restaurants to try include Emmer & Rye — a small but mighty south-end spot with a menu that changes daily — and G’Raj Mahal Café & Lounge — a food-truck-turned-restaurant with an extensive menu of mouthwatering Indian cuisine. Covert Park is the five-acre parcel on which Mount Bonnell — one of the city’s oldest tourist attractions, a Texas Historic Landmark and one of many spring outdoor activities in town — is situated. At 775 feet tall, Mount Bonnell is one of the highest points in Austin. As such, the views of Austin, Lake Austin and the surrounding land (and gorgeous area homes) are well worth the 100+ steep steps to get to the top. Once there, a pavilion and picnic tables make good places to catch your breath. Or hike around the peak to experience the different views afforded from this unique vantage point. You’ll need an extra dose of energy and a bottle of water to tackle this 5.5-mile out-and-back hike across three trails. Open every day from dawn to dusk, the trails have an elevation gain of 823 feet and plenty of log stairs to get the heart pumping. The trail is divided into three sections: the Lower Panther Trail (highest elevation change in the Austin area), Fern Trail (plenty of waterfalls and ferns) and Canyons Trail (runs alongside the River Place Country Club golf course). The scenic, well-kept trail has a creek running along much of the path, and it’s dog-friendly, too. North of downtown Austin and a quick four-mile drive east of The Domain’s Archer Hotel Austin is the 293-acre Walnut Creek Metropolitan Park. Family-friendly and dog-friendly, the park has lots of spring outdoor activities in one locale: a swimming pool (with low daily entrance fees for residents and nonresidents), a playground with equipment geared toward both little and big kids, and sports and recreational facilities, as well as 15 miles of unpaved trails that are ideal for biking, walking and jogging. A sheltered picnic area can be reserved, and plenty of picnic tables and several barbecue pits are available. 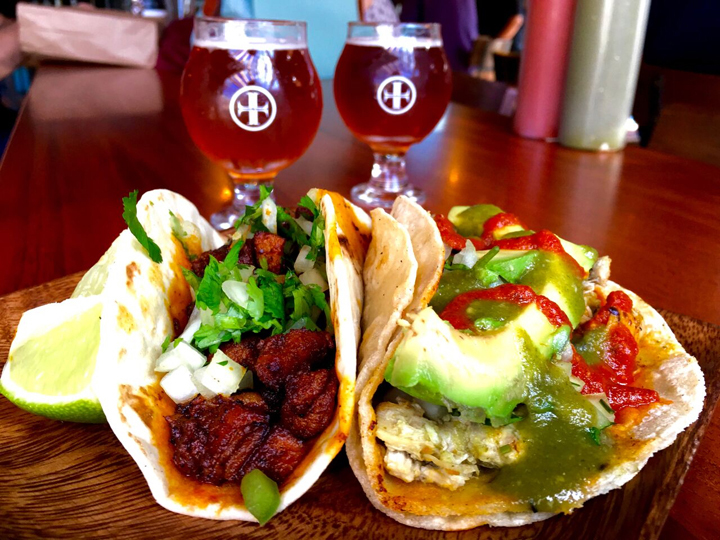 Need more ideas for spring outdoor activities in Austin? 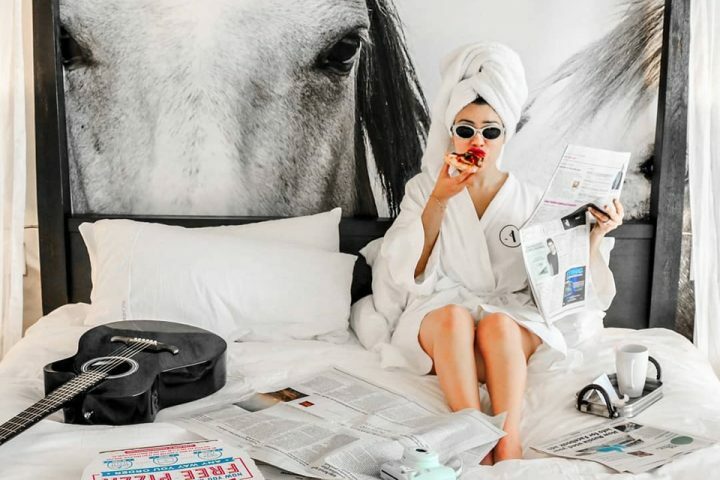 Check out the Top Places to Take a Splash in Austin, How to Spend a Day on Lake Travis, Free Fun in Austin This Summer or 48 Hours in Austin (with some indoor activities thrown in — just in case). And then check out Austin’s Best Live Music Venues for suggestions on where to get your groove on in The Live Music Capital of the World.